Pasta is one of the most perfect foods. It goes with so many different things or just by itself. Usually we are restricted to the kind that we get out of box but nothing beats the taste of freshly made pasta. 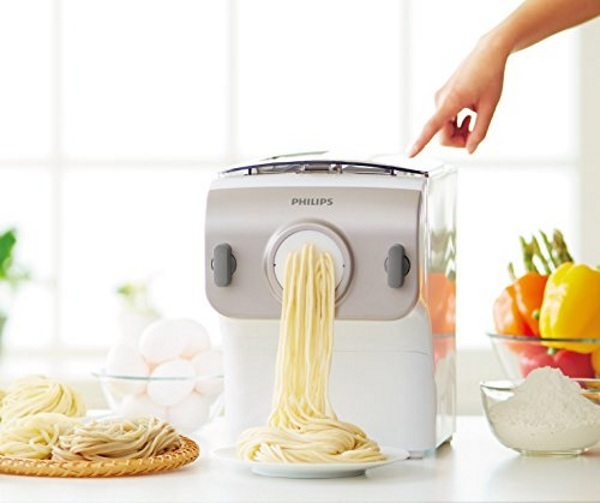 If you want that delicious taste but don’t have the time, the Philips Pasta Maker can solve your problem. Usually making pasta takes a little bit of time (and energy) to complete which means that it’s really just for special events. 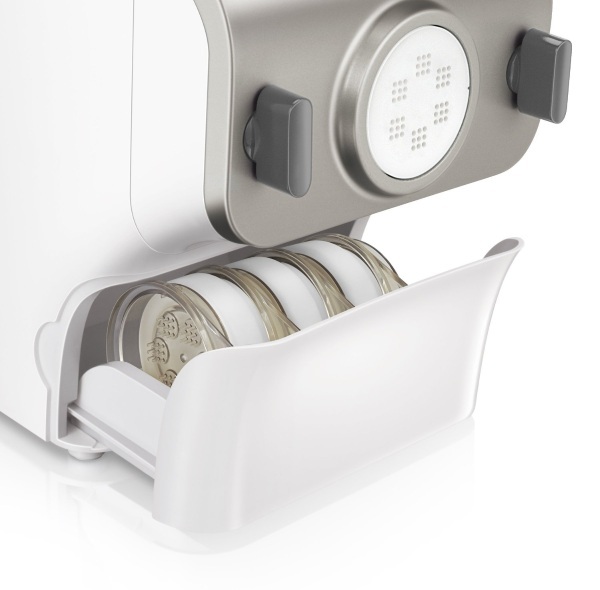 With this device, you can have a pound of pasta in 15 minutes. The machine makes four different shapes, classic spaghetti, penne, fettuccini, and lasagna. You can add variety to your pasta by using different flours and ingredients. Add herbs and veggies to make unique tastes without adding a bunch of time to preparation. There’s a drawer to hold extra cutting discs and cleaning tools so all parts can be kept together. Cleaning is simple so no extra work there! The Philips Pasta Maker is $279.89.